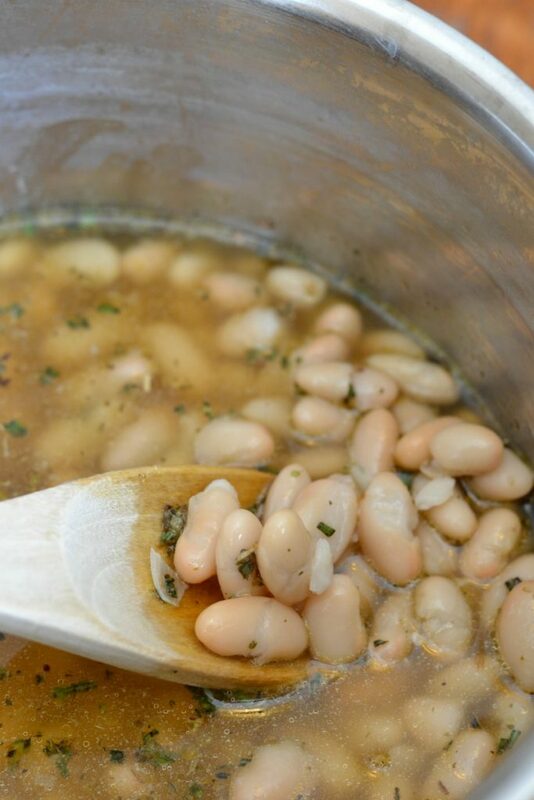 This simple rosemary and garlic braised white beans recipe has become our new favorite side dish. It’s a copycat recipe of the beans at Zoe’s Kitchen restaurant, and it also doubles as an appetizer when served with toasted baguette slices. If you’re not familiar with Zoe’s Kitchen, it’s a small restaurant chain (primarily in the Eastern and Southern states), known for it’s simple, fresh Greek fare. My family loves a lot of things at Zoe’s Kitchen, but our hands down favorite is the rosemary braised white beans. The first time I brought them home as a side dish, we all fought over the tiny little take-out container. Since then, I’ve learned to order triples of the white beans whenever I get takeout from Zoe’s. The other night, as I watched my daughters happily gobble down their beloved rosemary beans, it dawned on me that I should start making them myself. Turns out, it wasn’t hard at all to create a perfect copycat recipe of Zoe’s beans. We tend to get stuck in a “side dish” rut with the same-old-same-old starchy staples like rice, potatoes and corn. These beans are a little unexpected, and a welcome addition to our dinner routine. 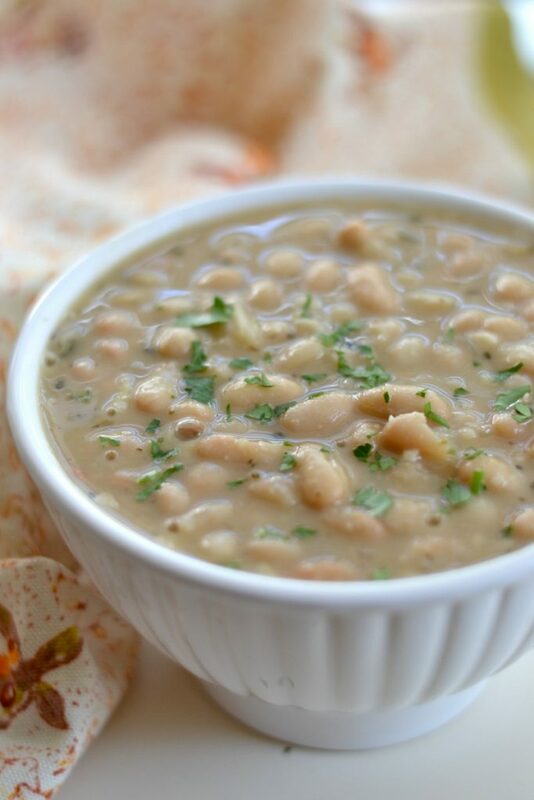 The amazing thing about these braised white beans is that they taste really creamy and decadent despite containing no cream at all (just like our beloved pasta e fagioli soup). In fact, I used vegetable broth in this recipe, so it’s completely vegan. All it takes is about 15 minutes on the stove, and the broth will start to thicken up, resulting in a deliciously creamy texture. Can you make this recipe with dry beans? Of course! 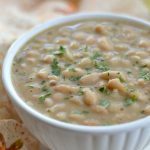 I totally advocate making beans “from scratch” when you can, by soaking dry beans overnight and then cooking them for hours in the slow cooker or in a large pot on the stove. But sometimes you just want to throw a quick dinner together on a busy night, and so I wrote this recipe using canned cannellini beans. I chose cannellini beans because I like the texture and size, but you can experiment with whatever white beans you’ve got on hand. In less than 30 minutes, and with only a few simple ingredients, you’ll have a totally delicious, unique and nutritious side dish that pairs perfectly with any sort of protein. You might want to double the recipe in case your family loves these as much as mine does. Serve the beans over rice, or just eat them all by themselves. 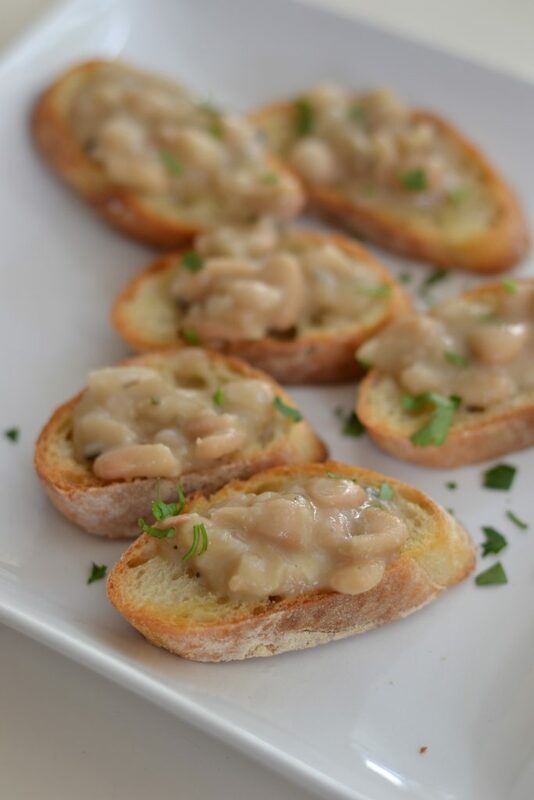 These rosemary white beans are delicious on top of crostini. Just serve on top slices of baguette that have been brushed with olive oil and toasted in the oven. 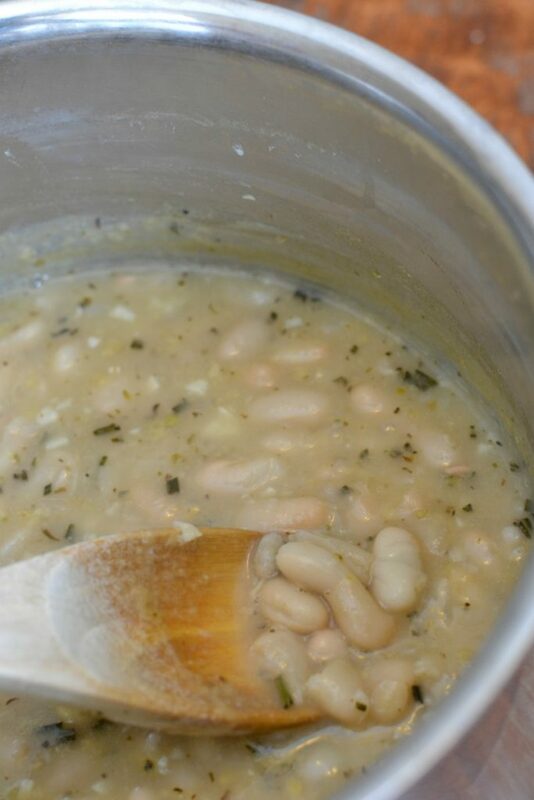 This recipe is inspired by my favorite rosemary white beans at Zoe's Kitchen. Coat the bottom of a saucepan in a thin layer of olive oil. Add shallots and cook for several minutes, until soft. 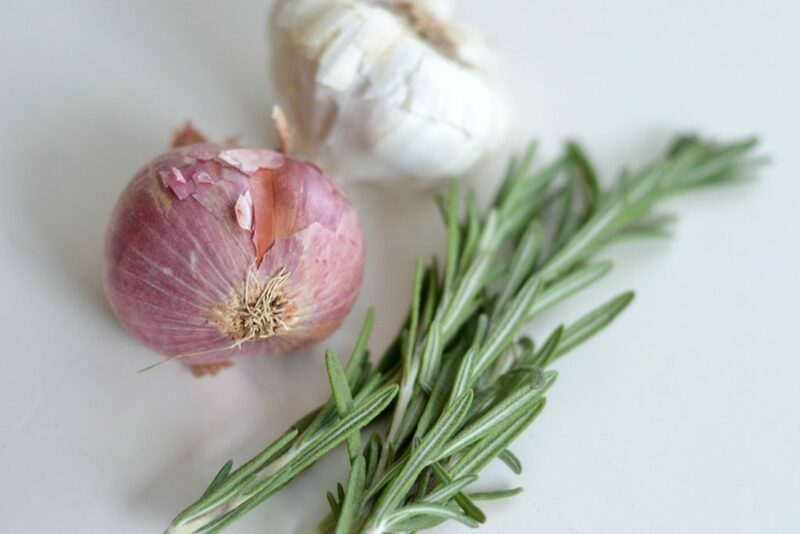 Add garlic, rosemary, and oregano. Stir and cook for about 2-3 more minutes. Add beans and broth. Cook over medium heat, stirring frequently, for about 15 minutes or until the liquid begins to thicken. If the beans become too thick, just add some additional broth. I just made these and added some kielbasa….WOW!!! Cannot believe how flavorful they are! So easy and delicious! I will be many these MANY times again! Thanks for sharing!